The Dallas Police Department is seeking the public’s assistance to help identify a robbery suspect. 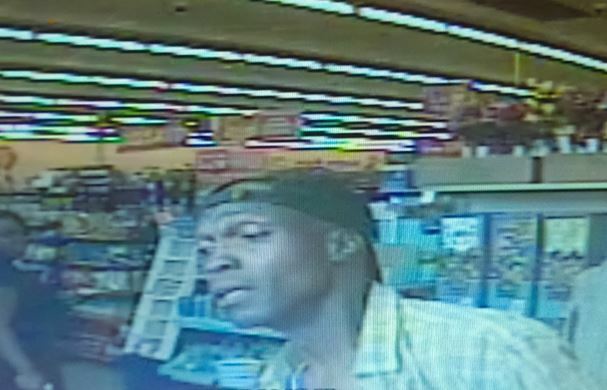 On May 15, 2016, at about 2:15 p.m., the suspect captured in the above photo was observed stealing merchandise from the Family Dollar store located at 2843 East Ledbetter Drive. During the offense an employee attempted to recover the stolen property. The suspect then assaulted the employee. Anyone who recognizes this suspect or has information on this robbery is asked to call Detective Adames at (214) 671-3629. If you wish to remain anonymous you may call Crime Stoppers at (214) 373-TIPS (8477). Please reference case number 116099-2016.